On the campus at OSU we had the opportunity to photograph engagement portraits of Morgan and Zac. Zac graduated from Oklahoma State and is now a Fire Fighter. While in school he helped to restore this old fire engine. These are some favorite images from their session. 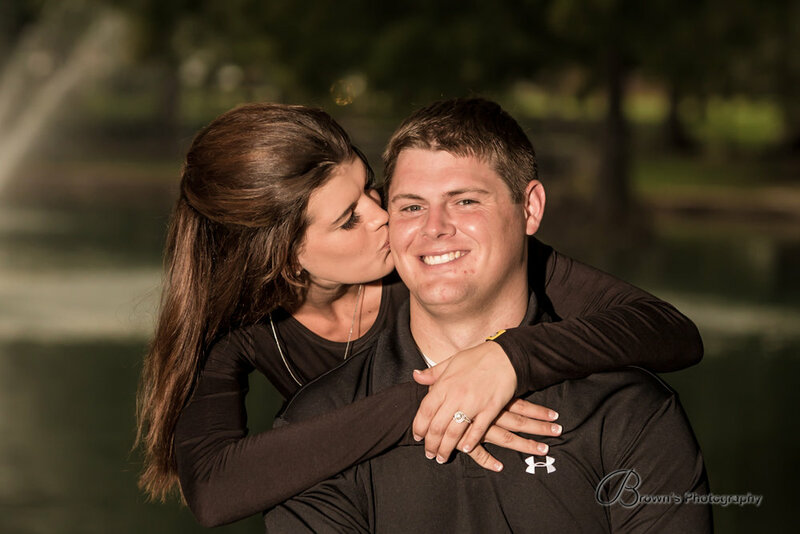 Sarah and Tylar engagement was in the summer on the beautiful campus of Oklahoma State University at Theta Pond. We had a wonderful time with these two. It was lots of fun to get to know them better and we can’t wait until the wedding. They are getting married a the newest venue in Stillwater. Sparrow. We first meet Rachel and Brent before they were engaged 2 years ago as graduating students of Oklahoma State University. Rachel needed college senior portraits and Brent was there to hold the dog. Rachel has a handsome husky in her senior photo. 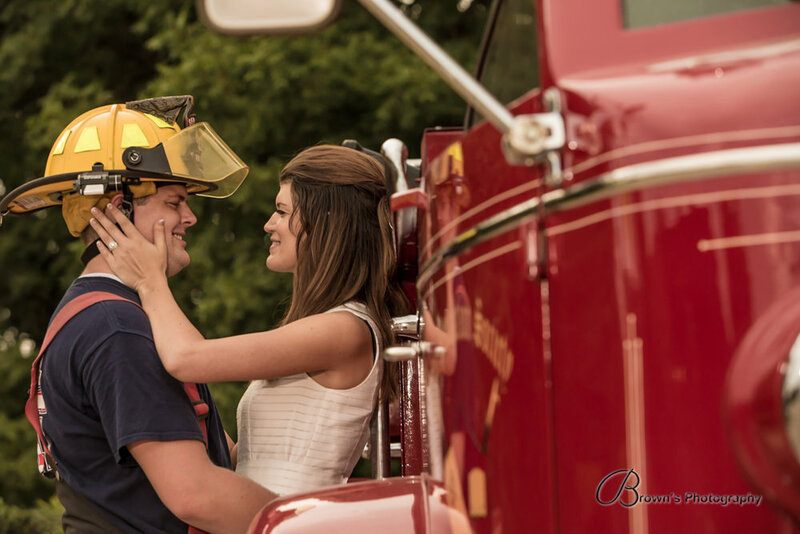 When they got engaged Rachel contacted us to be their wedding photographers. They’re getting married in Tulsa and we are very excited. As you can tell these two like to laugh. They really showed the fun they have with each other in these photos. We are so looking forward to their Tulsa wedding.